Steven Pettigrew, the primary organiser of the activist movement to prevent the construction of a road through Surrey’s Hawthorne Park, says that the city’s decision on Nov. 6 to pave over part of the green space hasn’t shaken him. Instead, he is working with provincial legislators to change the alternative approval process that contributed to the development of the project. In order to prevent the road from being built, the city’s bylaws state that public consultations must be held to determine that one third of the population—or 30,000 people—disagree with its construction. Hypothetically, this figure would be determined via referendum, but the city did not opt to conduct one in regard to the issue of the road’s construction, arguing that the project’s timeline was too tight to allow for such a vote. “I think this is an important story to be told, because the city used the political process in the wrong way, and the students of Surrey were not aware of the situation,” he says. 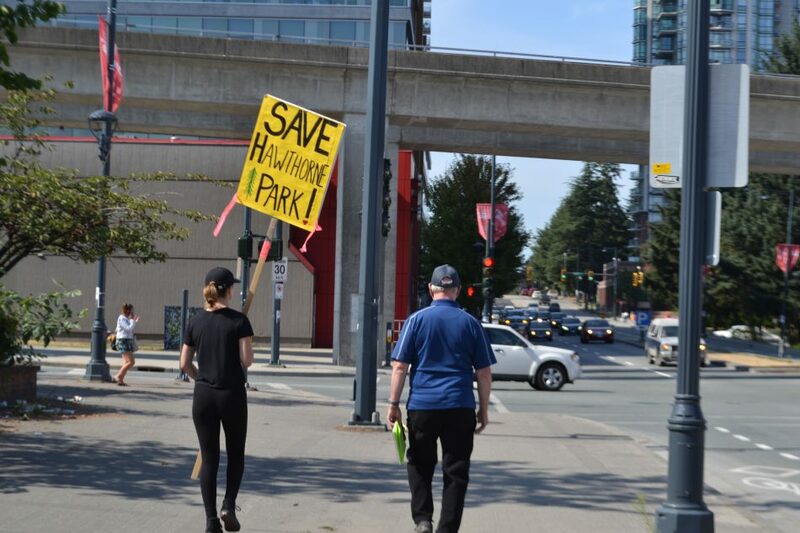 Surrey City Councillor Judy Villeneuve says that public consultations about Hawthorne Park were advertised over “a couple of months,” which gave residents sufficient time to respond to the initiative, but Pettigrew challenges the validity of that statement. Pettigrew is currently in talks with MLAs and MPs about the alternative approval process to ensure that it cannot be used to remove park dedication. So far, he says he has received a positive response from many of the politicians he has approached. When used correctly, Pettigrew believes the legislation behind the alternate approval process helps small communities work together to approve policies that have already been supported by the general population, or to “act as a litmus test to gage the general public’s reaction” before going to referendum if there is strong opposition to the subject at hand. It is the city’s use of the alternate approval process in the summertime, and on a contentious issue, that Pettigrew feels is unfair. “They haven’t broken any laws, but they’ve certainly pushed the boundaries, and they’ve definitely ignored provincial guidelines and the purpose of the alternative approval process,” he says. He speculates that the City of Surrey will likely use the same process with Green Timbers Park, where another road has been slated for construction. Villeneuve adds that, in response to the public’s concerns over the construction of the road, the City Council has decided to add five acres of land to Hawthorne Park. Along with the larger acreage comes the municipal addition of 700 trees and $3 million in enhancing the park’s walkways, waterways, playground, and fountain areas over the next year and a half. Villeneuve says that—as the road will pass through the park’s bogland—care will be taken to keep ecosystems intact and potentially improve their health in the future. Villeneuve, who also served on the Climate Action Committee, feels that she “made that decision from an environmental perspective,” and that her decision did not come without some difficulty. As an environmentalist, she believes that the road will ultimately decrease the amount of carbon emissions caused by idling vehicles, as it will decongest traffic in Surrey.